Be the first to share your favorite memory, photo or story of Noel. This memorial page is dedicated for family, friends and future generations to celebrate the life of their loved one. Noel Lee Evans, devoted husband, father, grandfather and friend, passed from his earthly home April 3, 2019 following a lengthy battle with Alzheimer's Disease. He was born September 9, 1951 in Falfurrias, Texas to Billy Jobe and Jean (Lindquest) Evans. Noel began his career in 1971 working for Brown and Root as a pipefitter. In 1981, he moved to west Texas to work as a plant foreman for Enron until 1995. Following this, he moved to Brazoria where he worked for three years. Noel then had the opportunity to work in Algeria, Africa for four years as an Operation Consultant. In 2001, he signed on with XTO and remained there until his health began to fail and he was forced to take early leave. Noel loved car racing. Since the 1980’s he had driven his sixty-seven Nova in the 1/8 mile Sealy races every weekend. He held on to that car as well as all of the memories. Known as “Poppy Evans” by his grandchildren and local youth, Noel played a major role in many of their lives. One of his favorite past times was when he was able to teach them to play baseball and attend their many sporting events. Noel’s grandchildren were an absolute joy and nothing made him happier then when he was able to spend time with them and the rest of his “adopted” grandchildren. Noel had lived in Oakwood since 2007, coming from Franklin, Texas. He was preceded in death by his grandson, Cameron Adams; both of his parents and brother, Jack Richard Lindquest. Surviving family members include loving wife, Judy Evans; sons, Jonathan Evans (Natalie) and Damian Chavez; daughters, Tracy Martin and Letisha Evans and brothers, James Nelson Evans (Clara), Billy Gene Evans and Samuel Wayne “Sam” Evans (Linda). 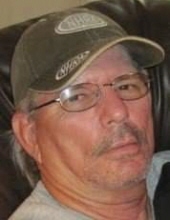 He is also survived by his adoring grandchildren, Madilyn Sky Evans, Tyler Baker, Blaine Evans, Easton Evans, Austin Evans, Dakota Martin, Cody Martin, Tristin Martin, Tyler Adams, Dawson Adams, Kaden Adams, Michael Adams, Kimberlyn Morgan, Kordell Chavez and Alyssa Chavez and aunts, Ruth Lindquest, Della Fae Lindquest, Carolyn Bentley and Gerry Evans, as well as numerous extended family and friends. A celebration of Noel’s life will take place Saturday, April 13, 2019 at 1 P.M. at Corinth Baptist Church in Teague, Texas. Arrangements are under the direction of Walters’ Buffalo Funeral Home in Buffalo, Texas. To send flowers or a remembrance gift to the family of Noel Lee Evans, please visit our Tribute Store. "Email Address" would like to share the life celebration of Noel Lee Evans. Click on the "link" to go to share a favorite memory or leave a condolence message for the family.